The Karma will cost $87,900, a little more than expected, but the gas-electric hybrid is coming next November, the company says. Fisker Automotive says it will be ready to deliver cars to customers this coming November, and will show off its production models to the public this January. The startup, which has designed an upscale series hybrid car called the Karma, plans to show off the production version of its car at the North American International Auto Show, which starts Jan. 11 in Detroit. The production model largely resembles the prototype that Fisker showed off at the show last year and at subsequent events. The company, though, has begun to refine the details on the price and performance of its car. As with Tesla Motors, the big question is whether Fisker can market and mass produce what will essentially be an electric car for a price that will appeal to customers and let the company also make money. The automotive world is a harsh place. You have to go back to the 1910s and 1920s to find the last time that there were successful crops of startup automakers. The Karma will be released at a base price of $87,900, which is nearly 10 percent higher than the $80,000 price estimate given by the company earlier. The four-door car will be powered by a lithium-ion battery from an unnamed vendor and the Q-Drive powertrain initially conceived by Quantum Technologies, which has worked with General Motors on a number of projects. The car will be delivered in November, a refinement from the "fourth quarter" statements earlier. The car is a series hybrid like the Chevy Volt, which has been delayed until 2010. In this type of hybrid, the car drives on an electric motor powered by batteries. When the batteries are about to conk out, a gas generator fires up to charge the batteries. The gas engine can also propel the car. The Karma itself will drive 50 miles on electricity and then drive on a combination of gas and electric power. This gives the car an estimated mileage of 100 miles per gallon, according to the company. The car can hit a top speed of 125 miles per hour and Fisker says it can go from zero to 60 in 5.8 seconds. It also has different driving modes-Stealth, Sport, HEV and Fuel Economy, giving drivers different degrees of fuel economy and power. Fisker and Tesla in many ways have similar strategies. Both will enter the market with high-end cars and then try to trickle into the mainstream with sedans as the underlying technology in their vehicles becomes cheaper. (CORRECTION: Tesla has already produced and sold "nearly 100" cars according to a spokeswoman. 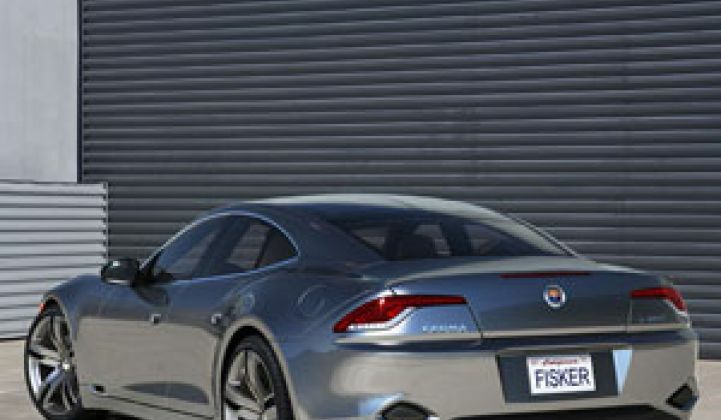 Fisker won't start until November.) The main difference is the gas generator. Fisker makes hybrids. Tesla earlier had planned to make a series hybrid but now says it will make only all-electric cars. All-electrics can cost more than regular cars because of the inordinate expense of batteries. On the other hand, the series hybrid concept hasn't been tried in mass production cars yet. 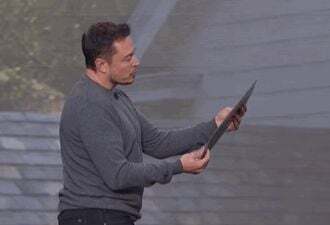 Some, including Tesla CEO Elon Musk and UC Davis Professor Andy Frank, claim that the concept is tougher to pull off than it sounds. Toyota's Prius and the other hybrids on the road are parallel hybrids. In these, the gas motor propels the car and doesn't exist to charge the battery. Don't count on sympathy and support between the two companies. Fisker recently beat Tesla in a contentious lawsuit (see Cash-Strapped Tesla Raises $40M, Loses Lawsuit). As previously stated, the Karma will be assembled by Valmet Automotive, which also produces the Porsche Boxster and Porsche Cayman. The Yearly volume is anticipated to reach 15,000 cars per year. A total of 40 retailers for the U.S. market will be established by October 2009. Fisker Automotive will announce 20 of its Retailers in January 2009. European pricing will be announced at the International Geneva Motor Show in March. In September, Fisker raised an additional $65 million in a third round of funding. 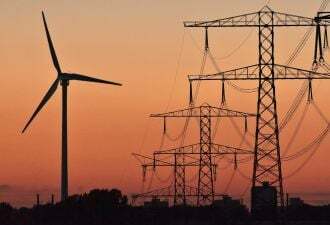 Investors include an affiliate of Qatar Investment Authority, Palo Alto Investors and Kleiner Perkins Caufield & Byers.